Stinky… Spiky… and more expensive than most other fruits available in Sri Lanka… yet much-loved… Can you guess what it is? Yes… it’s Durian. Although the whole neighbourhood will know that you are taking a durian home and frown on you if you are using public transport, the fruit is absolutely creamy and sweet. Once you have cut off the thick exterior and reached the fleshy inner parts, you will find durian remarkably easy to eat. The seeds are large, the flesh is rich. You can make delicious juices with durian. 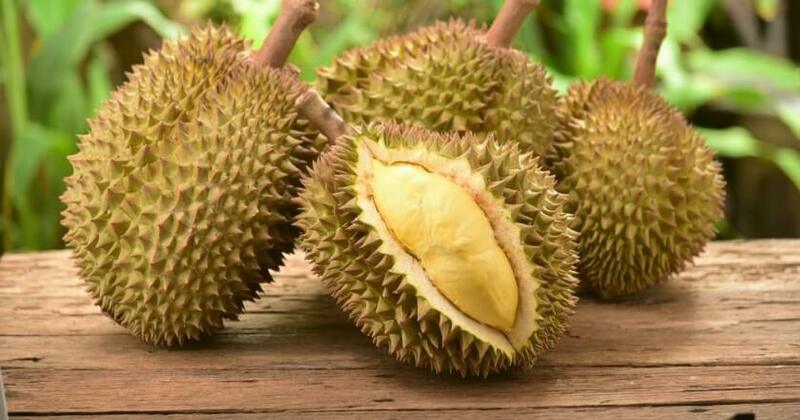 Durian is a seasonal fruit. Native to Malaysia and Indonesia, durian is now a crop in Thailand, Philippines, Australia and Sri Lanka. Although durian is not native to Thailand, Thailand is ranked the world’s number one exporter of durian. Thailand is the biggest producer of durian and exports it to many countries. 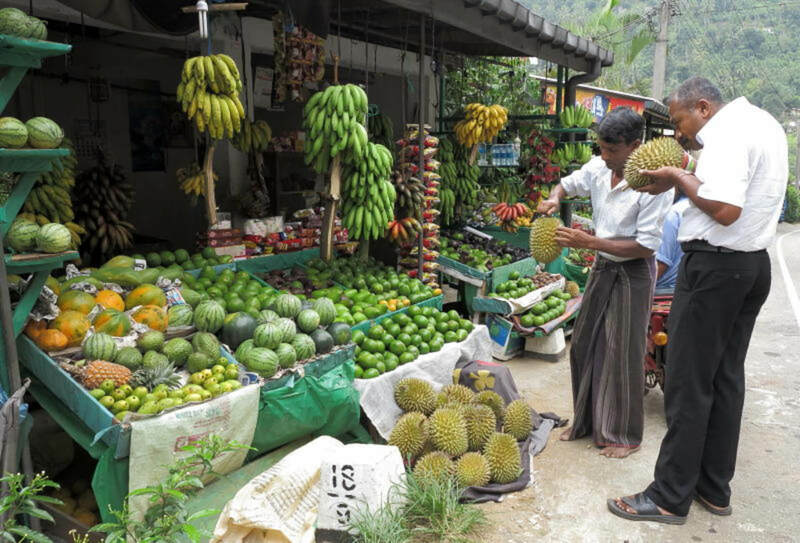 Sri Lankan durians grow mostly in the hill country and durian sellers are a popular sight during the season. Some people think that choosing a durian is somewhat difficult. The silky flesh that covers the large brown seeds ranges in colour from off-white to bright yellow. Yellow is considered to be better. Due to its pungent smell, durian is not often served openly at buffets. However, you can always inform the hotel staff about your desire to try this famed fruit and they will be more than happy to comply. Most hotels in popular tourist areas, such as hotels in Dambulla, are prepared to serve their guests with local fruits and dishes, and should be able to serve you durian.